It’s Berries in the Snow’s 5th Bloganniversary! I can’t believe that it is 5 years ago that I started this blog. Back then, I never thought that anyone will be reading my reviews. 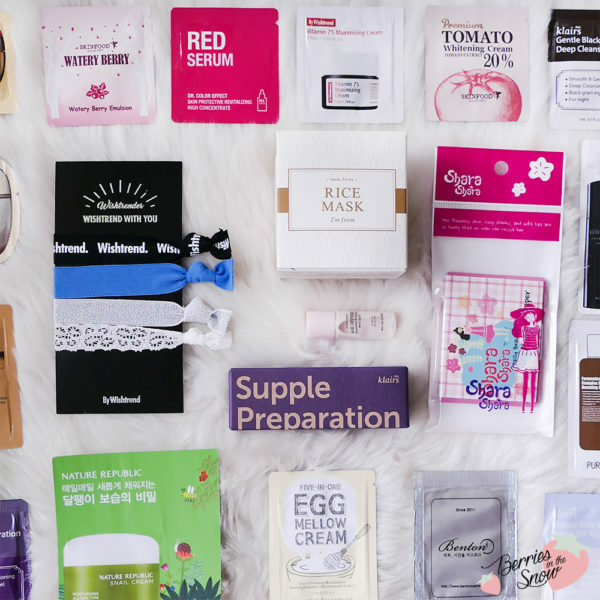 In first line, I wanted to have a space to write down my personal experience with asian beauty products and beauty products in general that I tested myself. Shortly before I wrote my first blog post I was looking for a BB cream that would suit my skin tone, without being too heavy and clogging on my troubled skin at that point. After some online research I read my first review about a Korean BB cream from the brand Missha. I was so intrigued that I looked up more reviews for the BB cream, and finally ordered my first asian beauty product on ebay. This BB cream was exactly what I was looking for, and, driven by that positive experience, I started to look for other skin care products from Missha. But it was not easy to find many English reviews at that time…and even fewer German ones. And that was the time, when I decided to write down my own very first “review”. It was not a professional one, and neither a long one, simply a “here, look at this product, and this is my impression”. Some time later I added a few more sentences and an ingredients list to the post and some other of my first reviews. When looking back at these first posts (I haven’t deleted them), they are not very informative to be honest. If you are curious, here is a link to my first review on Berries in the Snow. I sometimes thought about deleting these old posts and simply redo the reviews, but on the other hand they have a personal value to me, and they reflect the way that my blog has changed over the past years. Apart from the text, that became more informative (I hope so at least), I was also trying to improve my poor photography skills over the years. I went from “simply take a picture of the product on your desk”, to “white background and product pictures only” first. Then, I started to pay attention to social media, especially Instagram, and my mind was blown...all these pretty pictures! Flatlays were getting big on Instagram, and since my pictures were basically boring flatlays already I tried and I am still trying to improve as much as I can. 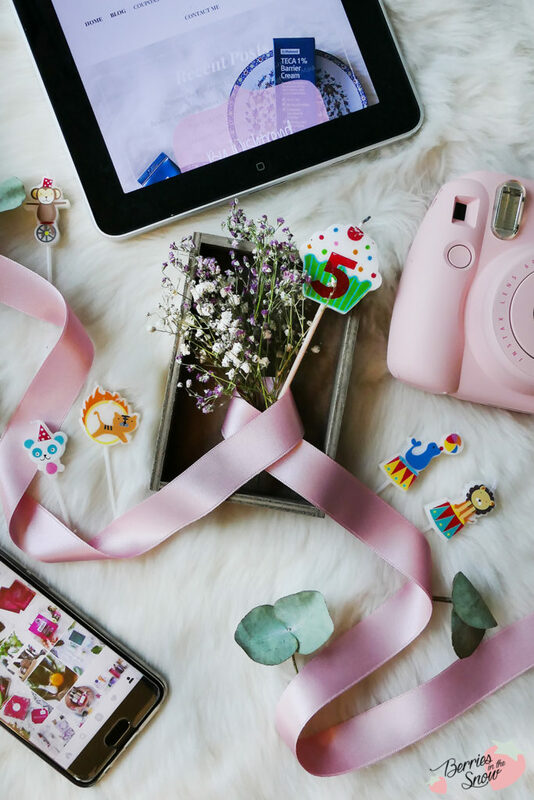 What did change in the 5 years for bloggers generally? In my opinion, blogging became widely accepted and known in the past years. There are people who can make their living on it, and I’m happy to see that. But, this makes it harder for small bloggers, too. If you want to be noticed, and you want that your opinion on a certain product is read and spread, it takes so much more effort than some years ago. If you get paid for your effort, you probably are more happy to do so. But most bloggers are not paid for it. They spend their free-time on advertising their writings and work. Many bloggers are utilized by brands as a (mostly cheaper) way to advertise a product. I started blogging in order to spread my honest opinion and experience on a certain product, and until now I was able to hold up to it luckily, and many of the other asian beauty bloggers I discovered throughout the years are doing the same. 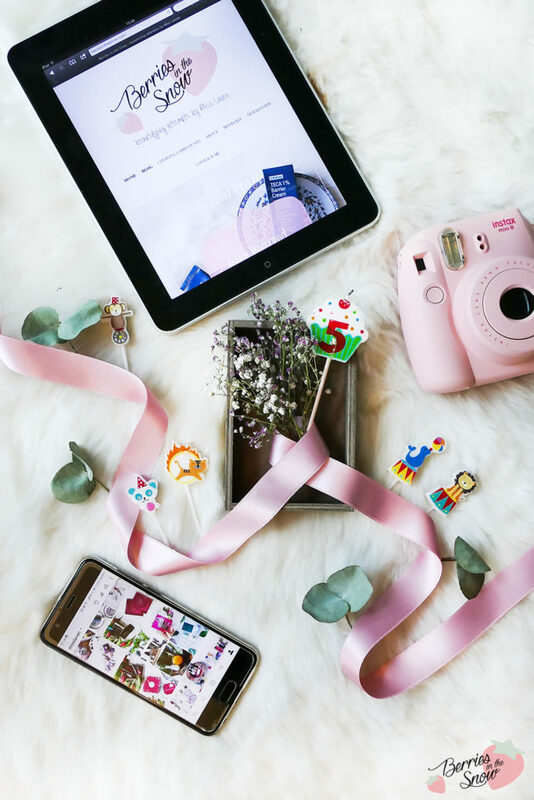 But yet, the amount of people who start blogging and buying a ton of followers and likes on social media channels, simply to have a higher reach and be noticed by brands, has highly increased, too. After 5 years of blogging I still do not have reached these (insane) numbers, as some ‘newer’ ones have. This makes me feel demotivated sometimes, for all the work that it put into this blog, although I know on the other hand, these are only numbers. Would I like to change something in future? Of course! I think it is human to need a change once in a while. I think that many things can still be improved. I would like to write more about the ingredients, and I would like to make more professional pictures, and make my blog design more modern, too…But, as with many things in life, time is my limiting factor. Working a full-time job makes it really hard to be motivated. There are times, when my free time is so limited, that I do not want to spend it on blogging, but rather on living my life and enjoying my family and friends, and also take time for my other hobbies. Blogging started as one of my hobbies, but the more professional and perfect you want to be, the more it feels like a second job, too. And it needs a lot of attention and time! First of all, I want to thank YOU! You are reading my blog, maybe only stumbled upon it by chance. Some have returned to read more, and even leave comments occasionally. I’m more that happy about every single one, and therefore many thanks to everyone! I’m also very grateful for all the interaction on my social media channels. Thank you for all the likes and comments there! Also, my apologies for being always so slow on responding, although I’m trying to improve myself! In order to show how much I appreciate all of your love, likes, remarks, and critics, I want to give something back in return. Therefore, I have planned some upcoming anniversary giveaways (all are international, btw!) and post for the following days. There will be a total of 5 giveaways, some will be on my blog, and some will be on my Instagram only. 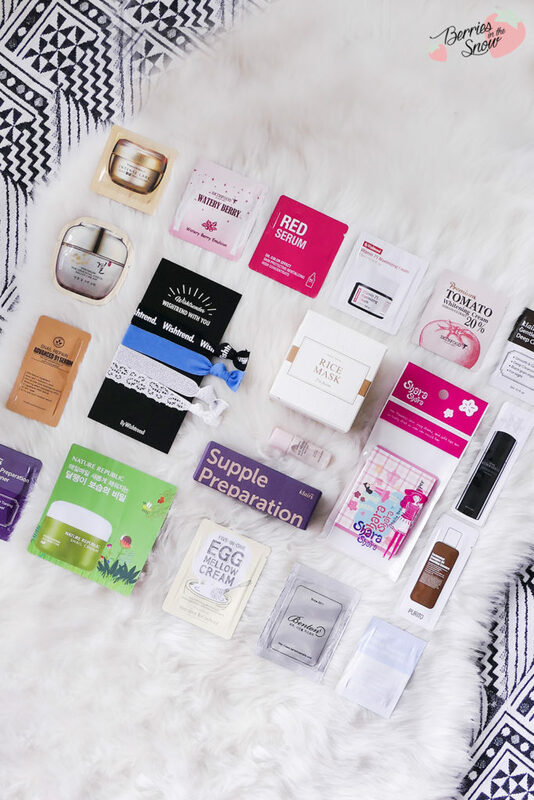 a bunch of asian beauty samples from brands like Skinfood, by Wishtrend, Klairs, Purito, Nature Republic, Too Cool For School, Benton, and many more! Simply enter via the Rafflecopter form below to enter the giveaway. Good luck everyone and thank you! Disclaimer: The entries will be checked (cheaters will be excluded), before a winner is selected randomly. The products are not sponsored. Entrants have to be 18 years old, or need the approval of their parents to submit their address in case of winning. I’m not responsible for any loss or damage that occurs during shipping. The giveaway is open internationally, where shipping is allowed. Happy 5 year anniversay, alles gute zum Bloggeburtstag! Und vielen Dank, dass du das mit so einem tollen Gewinnspiel feierst! So happy for your milestone. Happy Anniversary. I’m so glad that I found a place that I would use as reference. Thank you so much for all the time and efforts you’ve contributed. Don’t be demotivated, I always believe quality is better than quantity. Looking forward for more beautiful products post. Congratulations on 5 years. Love your blog & the great reviews. I love your posts, pictures and attention to details, keep it up! Congratulations on 5 Years! It’s great to have such a big block of time to look back on and see how you’ve developed as a blogger. I’m also taken aback when I see new blogs spring up and take off. Now I’m aware of bots and that people can buy a following I’m almost certain most of them haven’t gotten that following organically. Especially when they have tens or hundreds of thousands of followers but very few to no comments on their blog posts. Thank you for sharing your experiences and for hosting this giveaway. Here’s to 5 more years! Thanks for the giveaway opportunity! I’d love to get an updated pick on your favorite B.B. cushions! Congrats for this 5 years!!! I love your blog and I really like your reviews, your reviews help me decide which product to buy. Congratulation on your 5th year! Love your review, it actually does help me alot to choose products. What next? Hmm maybe you can review more on body/hair care products. Ich finde Beauty Hacks aller Art spannend, aber auch Beautyprodukte aus anderen Ländern, wie eben Korean Beauty, aber da gibt es sicher noch viel mehr interessante Produkte und Marken…. Congrats!!! I like seeing new product reviews. It’s obvious that you care greatly about your content here. I appreciate your hard work. Nothing of value comes easy. Congratulations on your 5 year anniversary! I enjoy reading your reviews; they are a great resource. And thank you for running this giveaway! Thanks so much for the chance 💗 😻 and congrats for all this time and amazing reviews! Happy 5 Year Anniversary! I would love to see some post on seasonal skin must haves. Happy anniversary! I like your blog. Ich würde mich freuen, weiterhin Beiträge / Reviews zu korean beauty zu lesen, wo man in DE die neuesten Produkte am besten bekommen kann, sodass sie nicht zu viel kosten und v.a. wie man auch limited editions von koreanischen Marken bekommt :) . Congratulation on your 5th year! Your reviews about k-beauty products are very helpful for me. Congratulations! I’d like to read more reviews as it’s always great to discover new things. Congrats on 5 years! I love the unboxing info – I love subscription boxes. I would like to know more about the products and your thoughts on them. Do you like them? Does it feel weird on your skin? Do you think it’s really effective? Have you picked winners because there is no response on instagram. Please understand that I cannot reply fast to every comment. 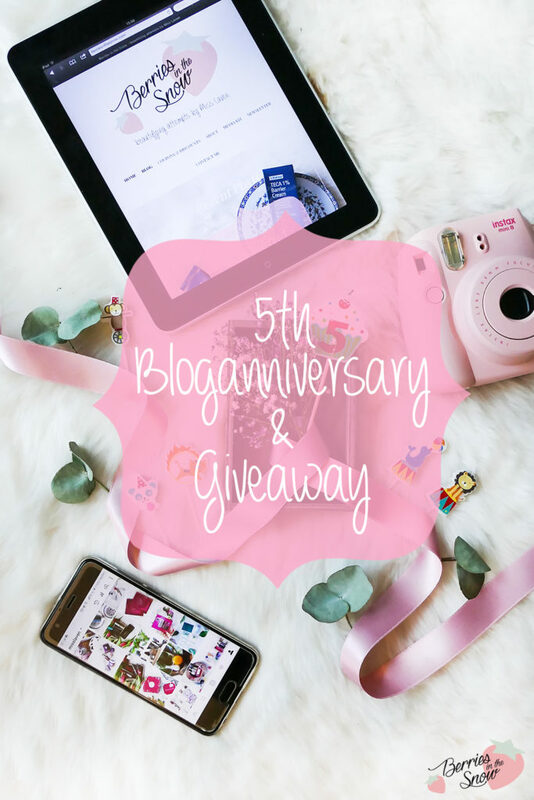 I’m not a full-time blogger ;) I will pick the winners after the end of the last anniversary giveaway which will be opened this week.